CEO Paul Fisher said that UnLtd had connected 88 companies with 42 different charities working with at-risk young people. “What our industry united to achieve over the past year, through UnLtd, is something to be incredibly proud of,” said Paul. “UnLtd operates on behalf of our industry, for our industry and together, with our industry. Together, we’re creating social impact by delivering funds, services, media exposure and volunteered time to the youth not-for-profit sector,” he added. The foundation’s annual social impact report also detailed case studies of UnLtd charities seeing impact where it matters most; positively impacting more young lives. “To those 88 companies and the countless individuals who have contributed in the past year, we say unlimited thanks. Thanks for believing in our industry’s unlimited potential to change young lives, and thanks for your role in helping us support Australian youth charities doing vital work,” said Paul. 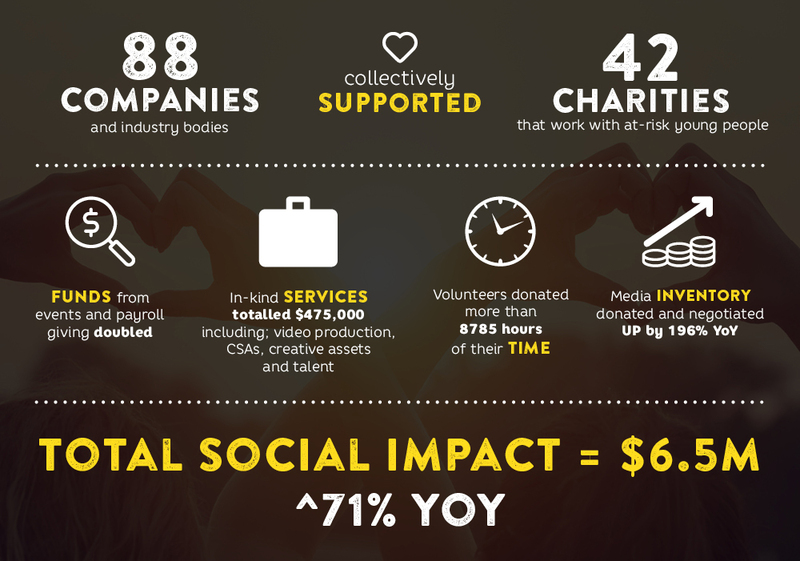 UnLtd has raised in excess of $14 million in cash alone since its launch in 2008 and delivered over $24 million in valued resources to over sixty youth focused charities. In FY16 more than 120,000 young lives directly benefited through our industry’s support.